Fortification in Afrin. Source: Bellingcat. Bellingcat report on destruction of shrines and cemeteries in Afrin, with satellite imagery corroborating the partial destruction of a cemetery, complete destruction of a shrine within it, and creation of a military outpost there. Aleppo Archaeology Facebook page shared photos by Saleh Zakkour of the damage to the school of Alkhousrfia in Aleppo. Troops of the Syrian Army recently recovered an unspecified number of artefacts that were packaged and ready to be smuggled out of the country, according to Sputnik News. An official at the DGAM reported that more than 4,500 artifacts have been stolen from a museum in Raqqa, 250-270 artifacts have been stolen from Palmyra, and other artifacts have been stolen from museums in the cities of Homs, Palmyra, Daraa and Bosra according to Syria Times. A survey carried out by the Authority of Tourism and the Protection Antiquities (ATPA) noted that two sites in the now dry West Hasseke Dam Reservoir had been looted. Tells Abu Hafour and Abu Hujayrah, which had both been the subject of rescue excavations prior to flooding, were exposed to excavations at several points after the lake dried. Since 2015, the Syrian Expat Philharmonic Orchestra has played Syrian symphonic music, including compositions based on traditional motifs or musical elements. Read more on the Deutsche Welle website. Idlib Antiquities Centre reported on a new discovery: illegal excavations by heavy vehicles revealed an underground building at the site of Kafr Alain near the town of JerJnaz. The Idlib Antiquity Centre investigated the site after the local council of the town of Jerjnaz was informed. The tomb is devoid of any archaeological finds, except for some pottery and glass fragments scattered in the soil, which may be superficial. Through preliminary observation, it is likely that the burial site dates back to the Roman period. The National Museum of Damascus has reopened after a seven-year suspension. Read more on SANA and the BBC. The reopening was accompanied by a two-day international symposium involving a number of archaeologists. The General Directorate of Antiquities and Museums attended a meeting in Sharja, organized by the Sharjah ICCROM Center from 22 to 24 October 2018. The meeting was attended by representatives of participating countries and organizations working to protect the world’s cultural heritage – UNESCO, UNIDROIT, Interpol, ICOMOS, ICCROM and independent experts including, legal specialists, cultural heritage management officials in Arab countries and some African countries. The meeting aimed to understand the reasons for the failure of the current administrative and legal systems to achieve effective results for the preservation of the cultural heritage. The three-day meeting discussed the important issues that greatly affect the effectiveness of the management and protection of cultural heritage in the Arab region and some African countries. ICCROM and the Prince Claus Fund have published a handbook and toolkit on First Aid to Cultural Heritage in Times of Crisis, for free download. Download the resource on the ICCROM website. Project Anqa aims to create accurate 3D recordings of heritage sites at risk using new technology and to contribute to capacity building in the region, the transfer of knowledge and the creation of permanent architectural inventory units. The project began in Syria, in partnership with the Directorate General of Antiquities and Museums (DGAM), and has documented six sites located in Damascus that illustrate the architectural variety of historic buildings in the ancient city. Learn more on the Project Anqa website. The Blue Shield is a global NGO working to protect cultural heritage in crisis. With a network of committees across the world, Blue Shield International have just launched a new website. “Narratives of Syrian Heritage” is the Facebook page affiliated with the project Interactive Heritage Map of Syria, in the Museum für Islamische Kunst in Berlin. The project addresses questions related to Syrian life and culture, based on collaborative participation and focuses on the country’s intangible heritage and culture. Learn more on the Syrian Heritage website and “Narratives of Syrian Heritage” Facebook page. New report from Geneva Call: Culture Under Fire: Armed Non-State Actors And Cultural Heritage In Wartime, available on the Geneva Call website. Abstract: This article provides a comprehensive empirical analysis of the composition, development and use of the List of World Heritage in Danger (IDL) under the 1972 Convention concerning the Protection of the World Cultural and Natural Heritage. The statutory records of this Convention have been coded in order to generate an overview of the development and use of the IDL between 1978 and 2017. The quantitative data was further developed by reference to World Heritage and transnational law literature. A key finding of this article is that the IDL serves a dual purpose in regulation: firstly, as a ‘fire alarm’ to alert the international community of imminent dangers at World Heritage sites; secondly, as a non-compliance procedure used for ‘naming and shaming’ states that breach the rules. The findings in this article have relevance for heritage scholars and policy makers concerned with the governance of World Heritage as well as those with a broader interest in non-compliance procedures under transnational environmental law. Access the article on Cambridge website. ArchHerNet reviewed the conference “Cultural Heritage in Crisis: Prevention, Protection and Post-Disaster Rehabilitation”, which was held in Berlin on 8–9 October 2018. Videos of some of the talks and panels are available on the website. An initiative run by the Pitt Rivers and Oxford’s Museum of the History of Science employs Syrians to provide native-language tours, forging intercultural understanding through historic artefacts. “Syria, Then and Now: Stories from Refugees a Century Apart” an exhibition at the Brooklyn Museum, features 13th-century ceramics from the museum collection juxtaposed with works of contemporary Syrian and Lebanese artists. Learn more on the Arab Weekly website. The Museum of Islamic Art, Arab Museum of Modern Art, and Qatar National Library in Doha are focusing on Syria’s history and culture. Learn more on the New York Times website. 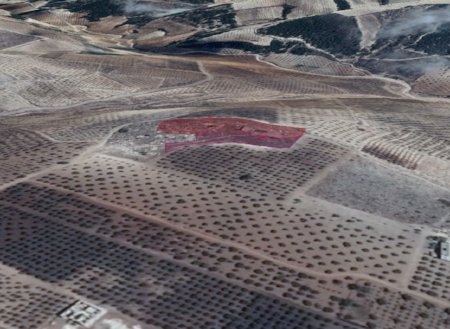 The Koz Times wrote about Iconem’s 3D recreations of Syrian archaeological sites. SANA posted photos of Tal Shehab in Daraa, including ruins of Roman mills. The “Heritage & Culture of Syria” Facebook page shared October 2018 photographs of Sahion Castle in Lattakia, Syria. The First News wrote about the restoration of the monumental relief sculpture depicting a lion, located at the temple of the goddess Allat in the ancient city of Palmyra, restored by a team of Polish conservators.